RobotGeek Snapper Arm Getting Started Guide. 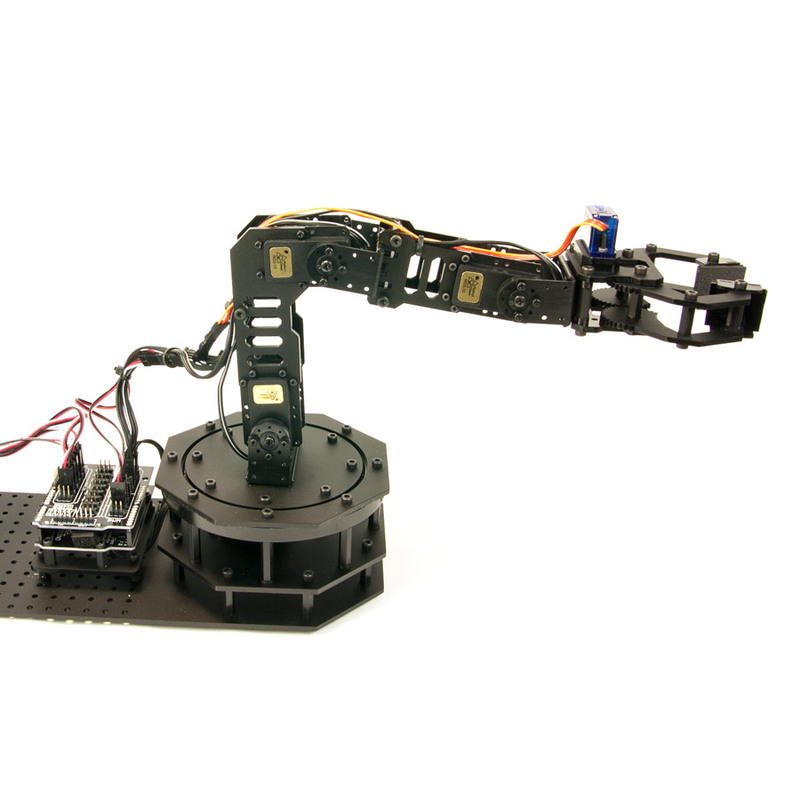 The RobotGeek Snapper Arm is a perfect entry level robot arm for hobby and education. The Snapper is based on the open source Arduino controller and the extremely modular RobotGeek family of parts, sensors, and components. The Snapper can be easily modified and upgraded for many different types of projects. 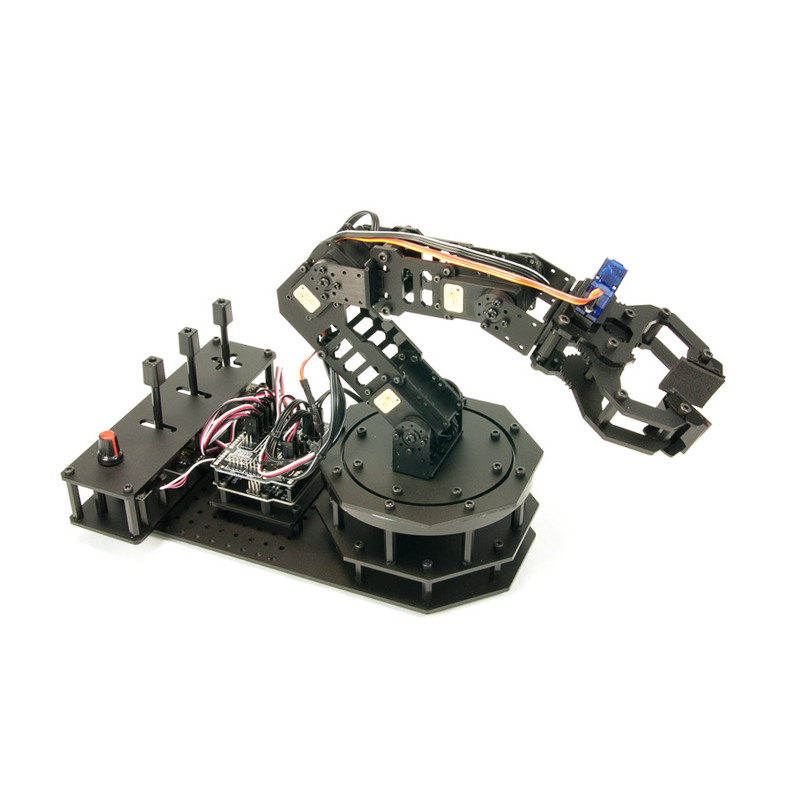 Whether you need an arm to base your project around, or an arm to add on to an existing project, the snapper arm is a great place to start! Every Snapper Arm has a control panel with three joystick and a knob. This control panel gives users everything they need to control the arm, demonstrating analog input and simple manual controls. 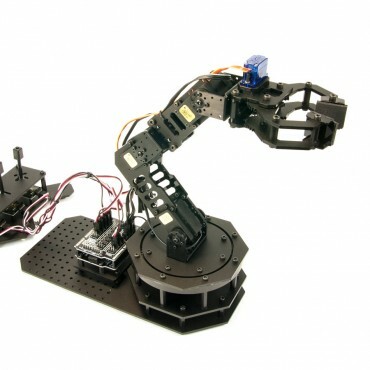 Future firmware upgrades will allow the arm to be controlled via PC, Wii Nunchuk and Classic controllers. By extending our open source example code, users will also be able to control the arm via various creative methods as they decide to increase the abilities of their arm. Four RobotGeek high-torque servos allow this arm to easily pick up 50 gram objects. 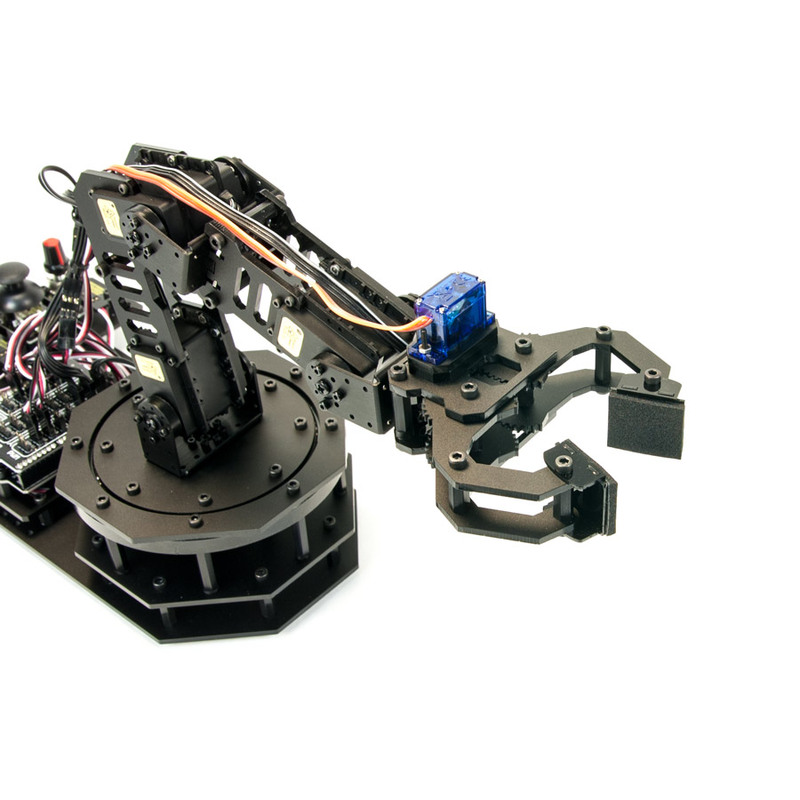 The arm's solid construction gives this entry level arm an impressive reach of 29cm from shoulder to gripper. 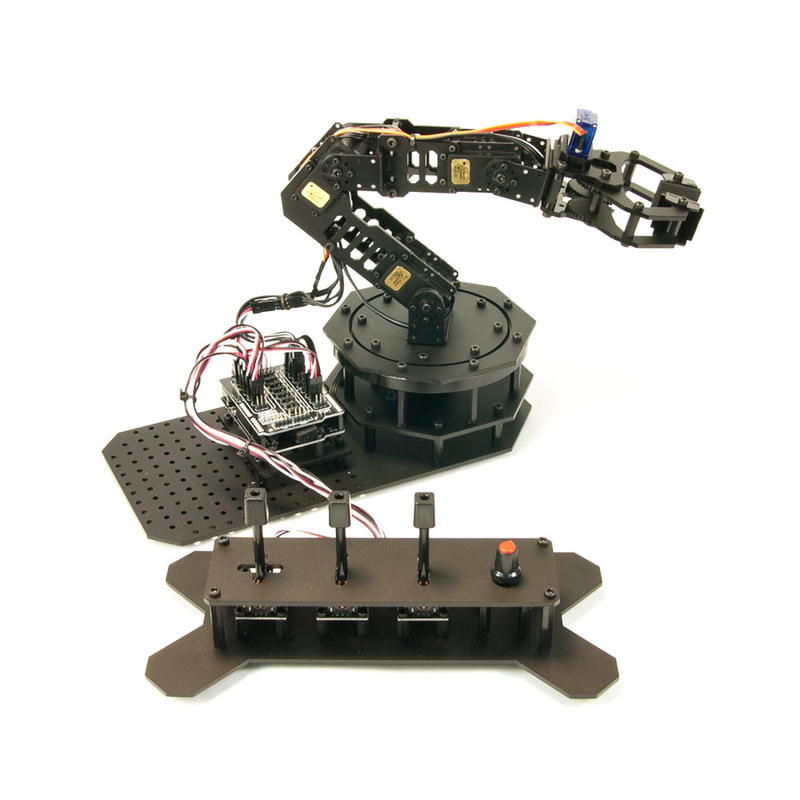 The RobotGeek Gripper also has adjustable angle finger tips, allowing the gripper to grab a variety of differently shaped and sized objects. The Geekduino (the RobotGeek Arduino compatible microcontroller board) controls each Snapper Arm. 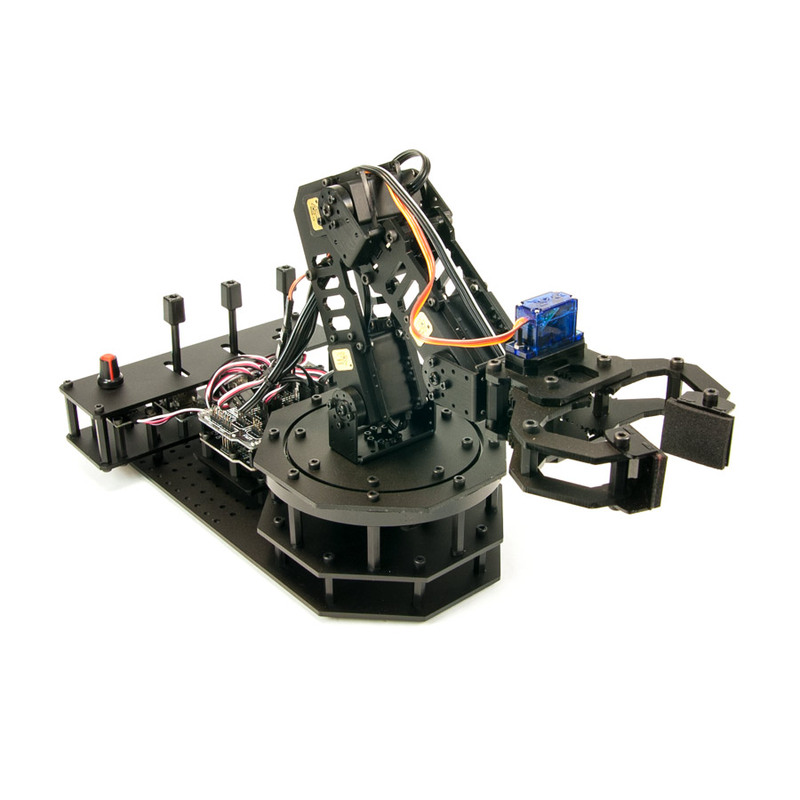 Atop each Geekduino is a RobotGeek Sensor Shield, making it clean and easy to plug in the arm's servos and sensors into the Geekduino. This setup offers 6 PWM outputs, 8 digital I/O, 6 analog I/Os, 1 I2C port, and 1 serial data port. 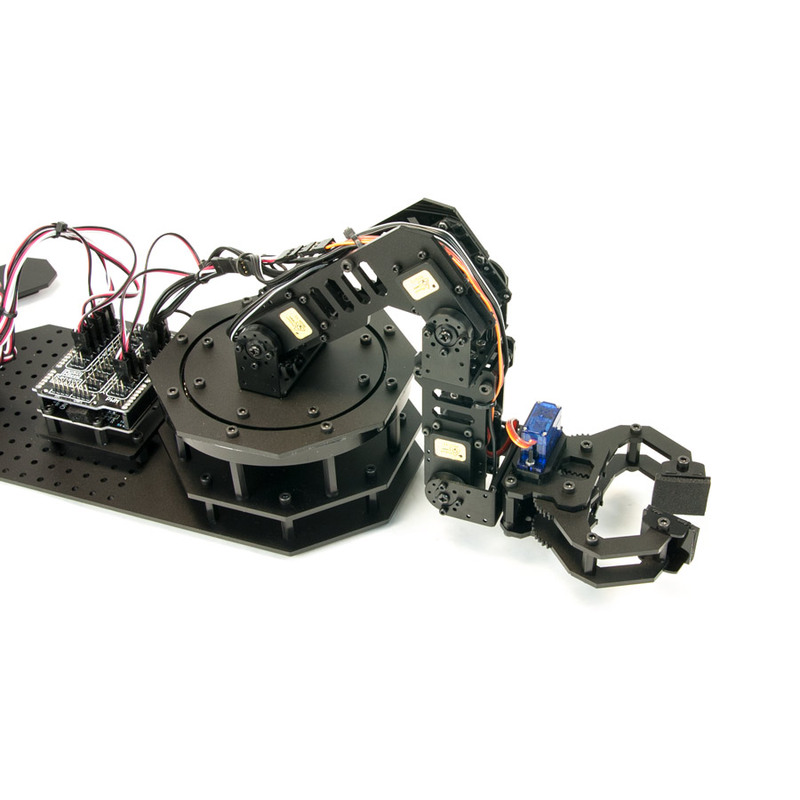 This shield makes it a snap to change and add sensors, output modules, and more! And because the base of the Snapper Arm is covered in a standard RobotGeek 1x1 cm grid, it's easy to mount RobotGeek modules and boards directly to the arm. 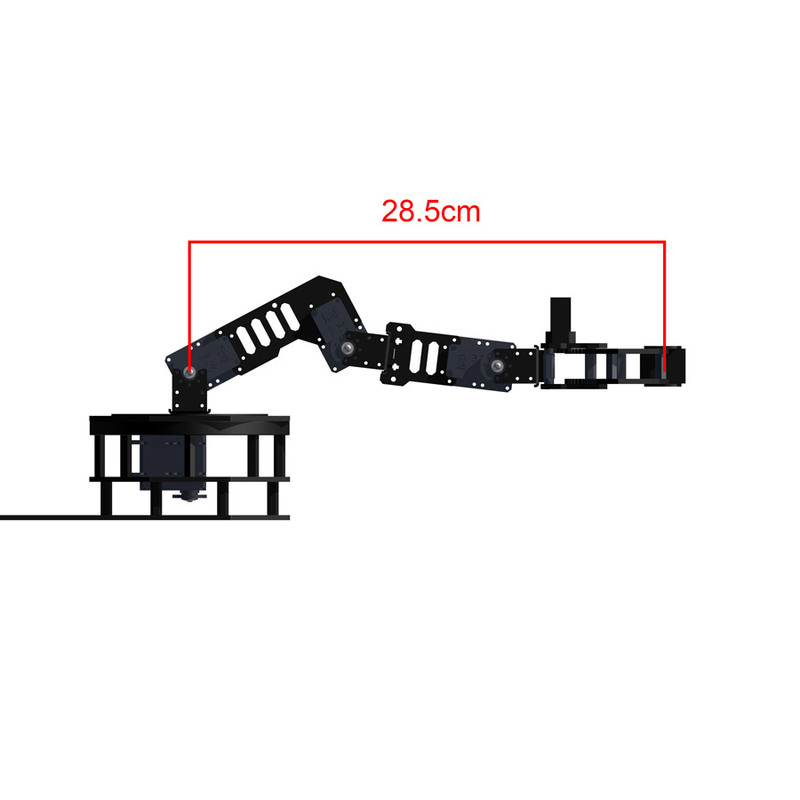 Even the Snapper Arm itself is built in the 1x1 cm grid pattern - this means that the arm can easily be removed and mounted onto other RobotGeek plates, like the Large Workbench and the RobotGeek Geekbot.